Ravi Tee, Torque Tank, and Fuel Green Coco Pique Wunder Under Pants. I got my order for the green coco pique wonder under (canada), i was super dissapointed. When they arrived i was wearing my herringbone wonder unders and holy moly were they super thin compared. The green coco pique were terribly thin, unflattering and oddly felt quite big. Being three hours away from the nearest lululemon i guess i'll be mailing them back. Has anyone tried the black coco pique and are they nice and thick and compressive or should i not waste my time. 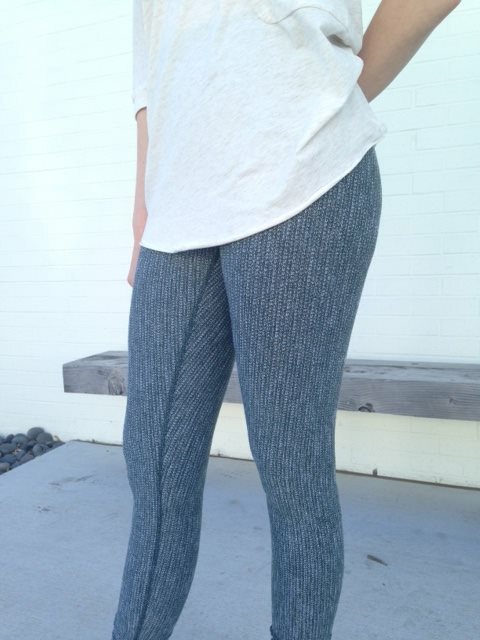 I tried the black coco pique skinny wills and they were thin and not compressive at all. Not worth it IMO. i love my herringbone WUPs, too bad the coco are not the same quality. That is sad that lulu can't deal with the whole quality control thing. I've gotten to the point where I need to see the merch. in person before buying anything.